45mm x 500mm. Effective solution to deter unwanted visitors from ledges. Weatherproof. Flexible - fix to fences, gates and walls. 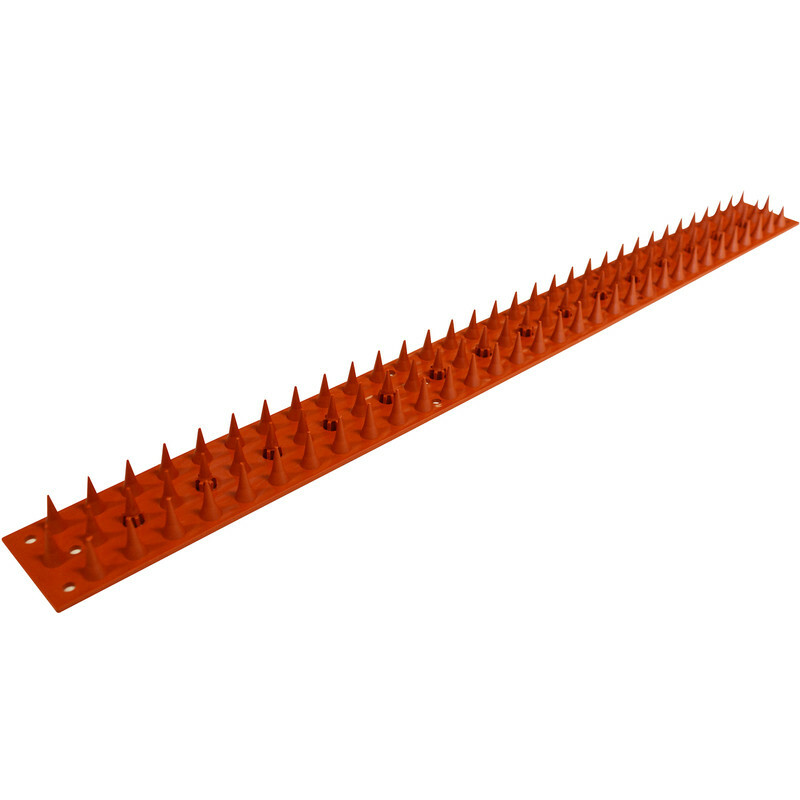 Pelsis Prikka Strips Wall Spikes 50cm (8 Pack) is rated 3.0 out of 5 by 2. Rated 5 out of 5 by 59petei from Good design, should be a good deterrent. Bought these for a clients garden fence. Wear decent gloves, or as I did, use your jacket sleeve to hold these in place while nailing them on. You will need a pin-punch to get the nails fully home to avoid breaking off the spikes.